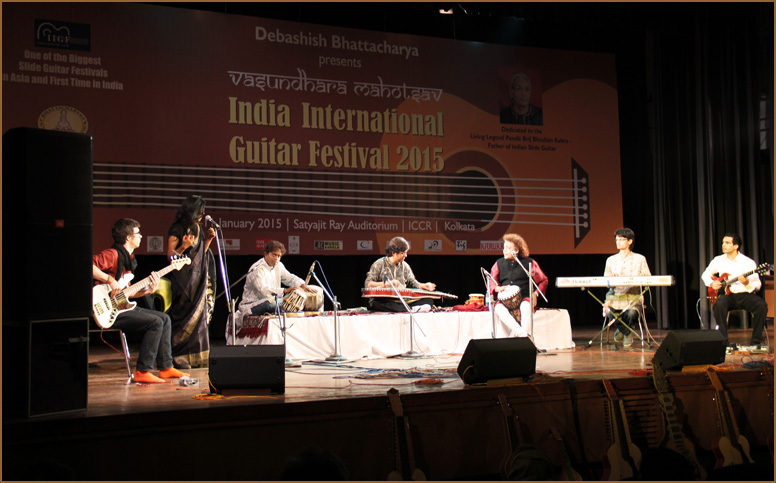 Calcutta Chronicles Band - Pandit Debashish Bhattacharya Pioneer of Indian slide guitar and creator of Trinity of Guitars. Calcutta Chronicles is a new world music band led by BBC award winner and Grammy nominee Pandit Debashish Bhattacharya, the legendary master of Hindustani slide guitar. 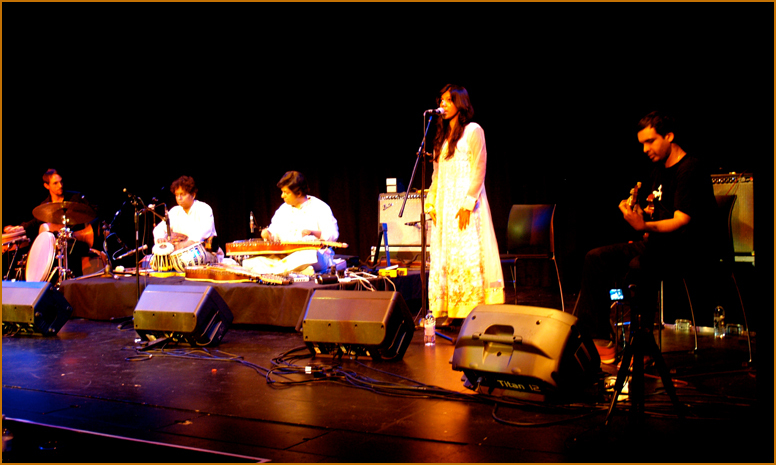 Panditji has an illustrious musical lineage going back eight generations. He is the pioneer of Hindustani classical music on the slide guitar, which he has adapted and modified to create three uniquely expressive instruments – the Chaturangui, Gandharvi and Anandi. The core members of Calcutta Chronicles are Pt. 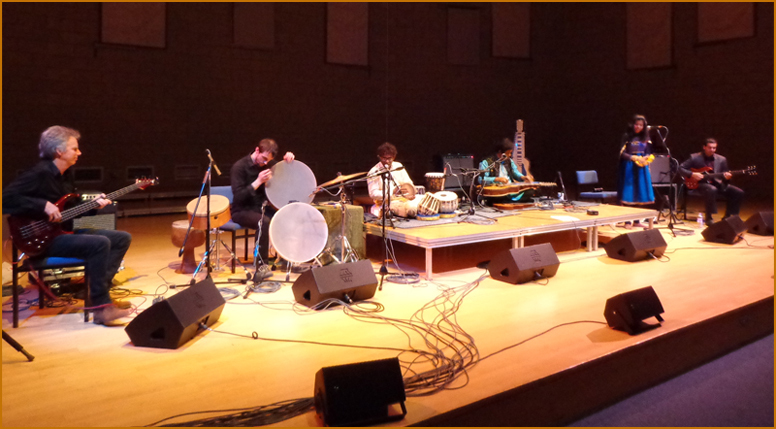 Debashish Bhattacharya on the trinity of slide guitars, Subhasis Bhattacharjee on tabla and percussion, Nishad Pandey on electric guitar, and Anandi Bhattacharya on vocals. Drawing inspiration from Panditji's vast musical experience and his many highly acclaimed albums, Calcutta Chronicles is creating a form of music that speaks to the emotions and has universal appeal. 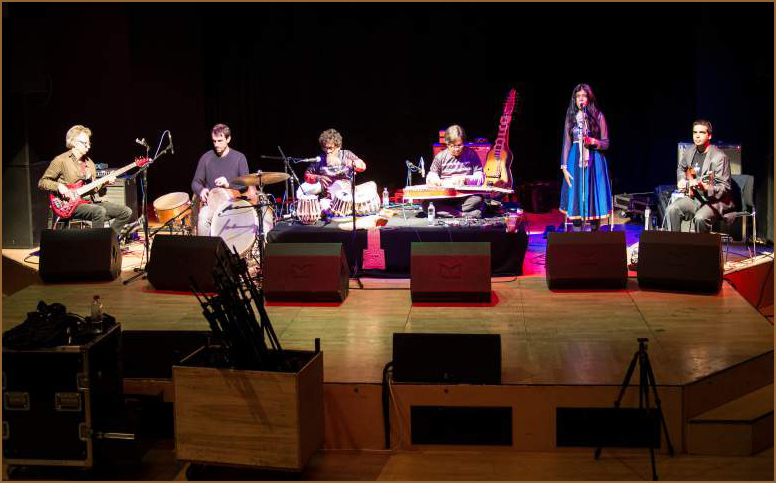 It consciously sets itself apart from main-stream ‘fusion’ music by focusing on compositions that are based on the essential melodic, rhythmic and thematic qualities of Indian classical music, and provide a platform for free and varied improvisations. Each member of the band leaves his or her own distinct imprint on the music through years of training in various genres: jazz, Hawaiian music, Latin and Indian folk music, among others. 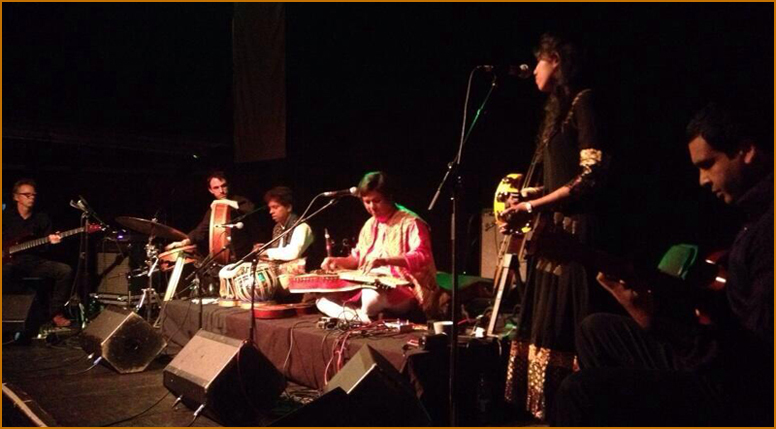 Calcutta Chronicles is planning a follow-up tour to the UK, as well as tours to Europe, USA and South-East Asia, in 2015.